Wondering what are the Best Smartphones Under 10000 in India? Well if the answer is yes then we are here to help you out. 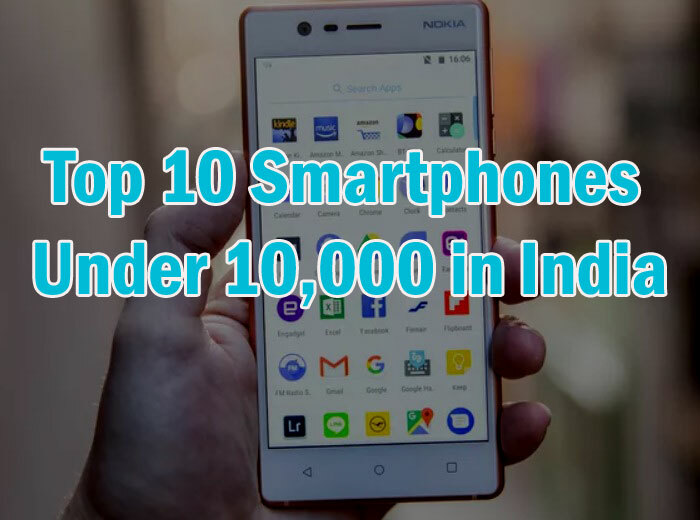 We have handpicked some of the best android phone under 10000 that are available in the market and made a list of the best smartphones under 10000. As you already know that the most of the people get a smartphone in this budget segment. Hence smartphone makers started doing their best to add almost all the features that a smartphone should have. That is why nowadays getting a finger print scanner along with a 13MP rear camera is not a pretty big deal. So let’s just find out all the top camera smartphones that comes under the Rs 10000 budget without wasting much of the time. When it comes to getting a smartphone in budget Xiaomi is definitely a great option to go with. The Chinese best smartphone maker is in the Indian smartphone market for the last few years. Also, the company has gained the recognition of the India’s top smartphone brand. One of their most budget smartphone of this year is the Xiaomi Redmi Note 4. The smartphone was launched in the month of January 2017 and since then to now they have sold a few millions of units of the smartphone. The smartphone is divided into three variants. However, in this article we are going to talk about the cheapest variant among all the Redmi Note 4 variants. The cheapest Redmi Note 4 variant holds a price tag of Rs.9999 and comes with 2GB of RAM and 32GB of Internal storage. On the top, there is a 5.5 inch display with a resolution of 1080 x 1920. Under the hood there is a Qualcomm Snapdragon 625 soc and has a battery backup of 4100 mAh. Talking about the camera, on the front panel there is a 5MP shooter for selfies and at the back, you are getting a 13MP camera. 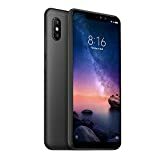 As mentioned above that when it comes to making budget smartphones Xiaomi is one of the best companies. 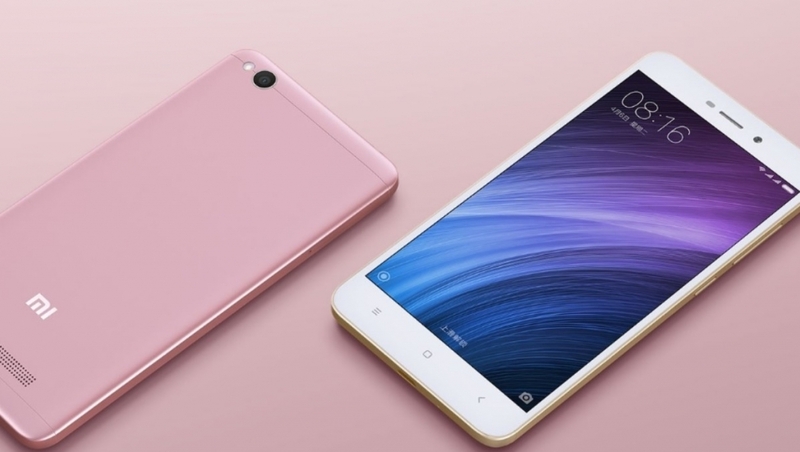 Apart from the Xiaomi Redmi Note 4, the company has also launched the Xiaomi Redmi 4 this year. This is pretty much similar to the Xiaomi Redmi Note 4 with some changes. First of all the Xiaomi Redmi 4 is a quite smaller device than the Xiaomi Redmi Note 4 as it has a screen size of 5 inches. The display comes with a resolution of 720 x 1280 pixels. Also apart from the screen size, there is another change that we get to see in the Xiaomi Redmi 4 which is the processor. Xiaomi Redmi 4 is the best camera phone under 10000. Under the hood of Xiaomi Redmi 4, there is a Qualcomm Snapdragon 435 processor which is clocked at 1.4 GHz. Apart from these two things, there are not so many changes. 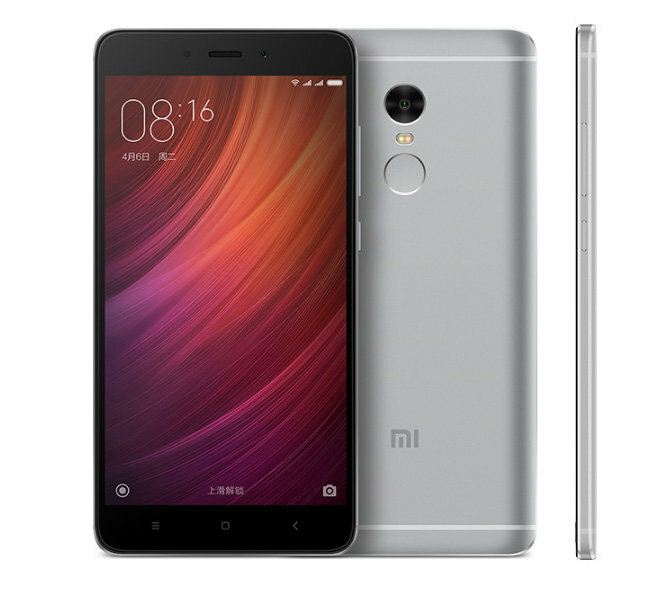 The smartphone has a similar battery as the Xiaomi Redmi 4 which is 4100mah. Also, you are getting two different variants under the 10000 bucks. One of the variants comes with 2GB of RAM and 16GB of storage, and the other variant comes with 3GB of RAM and 32GB of storage. Coming to the camera well on the back panel you are getting the same 13MP camera and on the front panel, there is a 5MP camera. The smartphone is priced at Rs.8999. Just in case if you are looking for a Nokia smartphone under 10000 bucks. Then you should check out the Nokia 3. The smartphone was launched recently. However, when it comes to specifications the Nokia 3 is not offering much stuff comparing to the other smartphones in the market. The smartphone is priced at Rs. 9499 and has a screen size of 5 inches. Under the hood the smartphone sports a quad-core MediaTek MT6737 chipset and comes with 2GB of RAM and 16GB of internal storage. The device runs on Android Nougat 7.1.1 and has a battery backup of 2630Mah. Talking about the camera, you are getting an 8MP shooter on both of the sides of the smartphone. 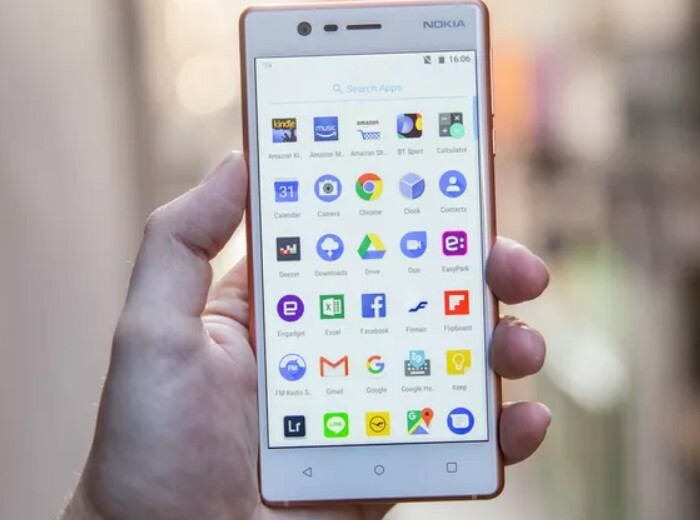 However, if you look at the other devices on the market then you will get better specifications comparing to the Nokia 3. Asus is also one of the top brands when it comes to making smartphones. However, they are not too much interested in making budget smartphones but whatever smartphone they have launched in the 10000 INR budget segment. They made sure that the phone is best in the business. 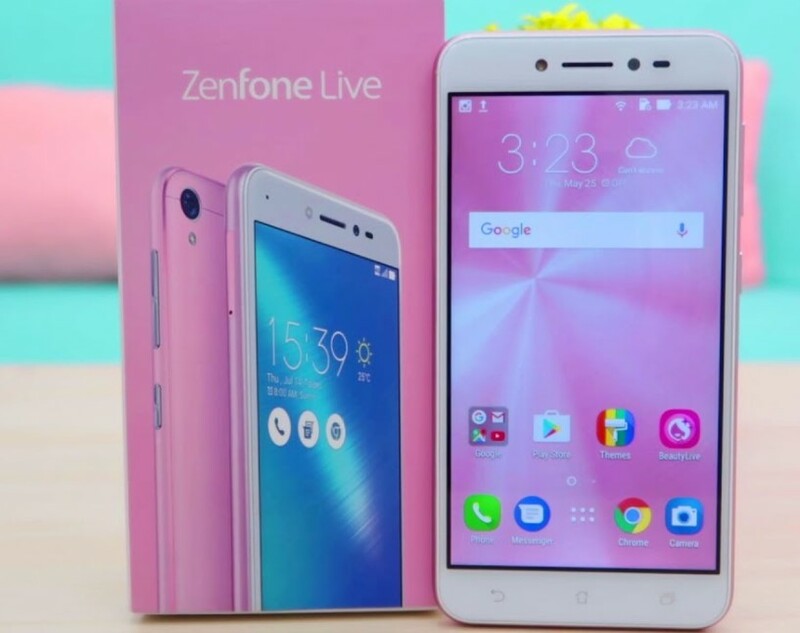 Talking about the Asus Zenfone Live, well the smartphone is priced at Rs. 7,990. The smartphone comes with a 5-inch display on the top. Under the hood, the smartphone has a 1.4GHz Qualcomm Snapdragon quad-core processor and comes with 2GB of RAM and 16GB of Internal storage. However, the smartphone may not offer you the best performance or battery life but it will definitely satisfy your selfie needs. As the phone comes with real time beatification mode. For selfies, the smartphone has a 5MP of a camera and the primary camera of the smartphone is 13 Megapixel. Just in case if your main goal is to get better selfies. Then you are surely going to love the Xiaomi Redmi Y1. The smartphone not just offers good selfies but also offers pretty good performance. If we talk about the price, the Xiaomi Redmi Y1 holds a price tag of Rs.8999 and comes with a 5.50 inch of display with a resolution of 720 x 1080 pixels. Under the hood, the smartphone comes with 1.4GHz octa-core Qualcomm Snapdragon 435 processor. 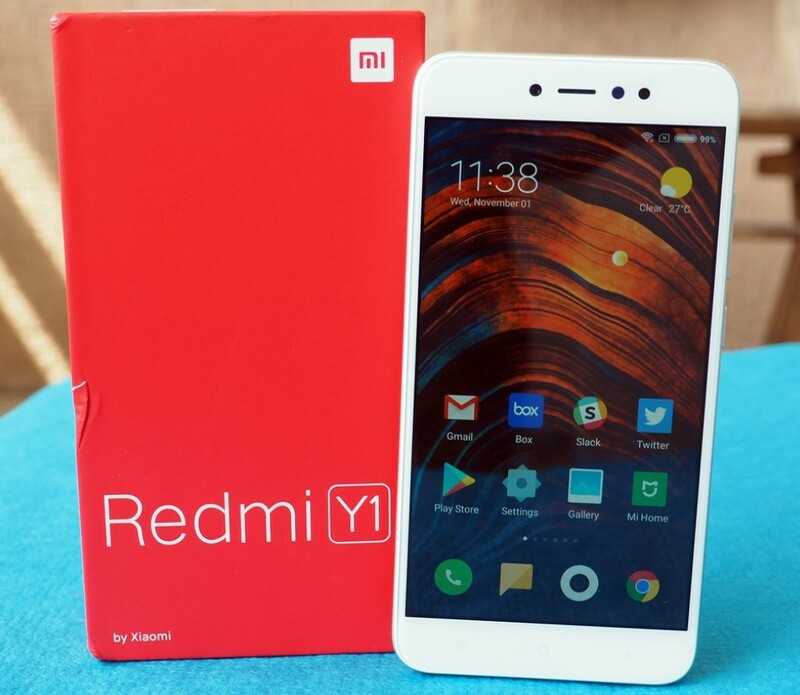 Xiaomi Redmi Y1 is one of the best smartphones under 10000. This will give you a decent performance and you will able play some popular gamers without facing the lagging issue. The smartphone also has 3GB of RAM and 32 GB of internal storage. You can also extend its memory up to 128 GB. Talking about the camera of the smartphone, as the smartphone is focused on the selfie lovers hence you are getting a 16MP camera on the front panel and on the rear panel there is a 13MP camera. Just in case if you are looking for an affordable smartphone then the Xiaomi Redmi 5A definitely a great option. The smartphone was launched recently. The smartphone is priced at Rs.4999. Talking about the specification of the Smartphone; the Xiaomi Redmi 5A comes with a 5 inch of display. Under the hood, there is a Qualcomm’s Snapdragon 425 64-bit quad-core processor. The smartphone comes with 2GB of RAM and 16GB of internal storage. Also, it packs a battery of 3000 mah. Coming to the camera section of the Xiaomi Redmi 5A. Well, the Xiaomi Redmi 5A packs a 5MP camera at the front panel for selfies and at the rear panel, there is a 13MP camera. 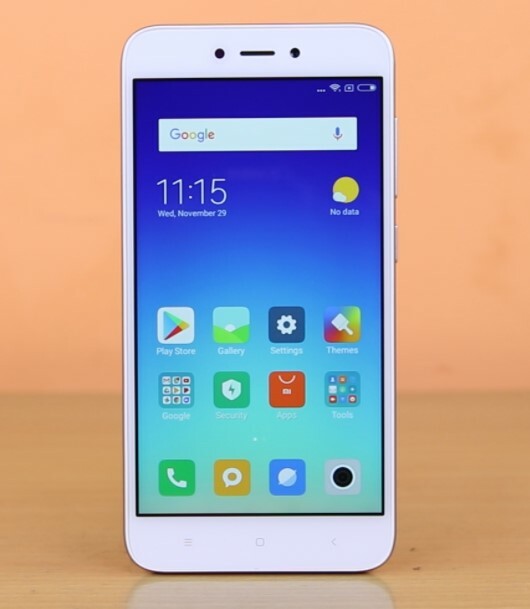 However in case if you are planning to purchase a smartphone for a good camera quality then the Xiaomi Redmi 5A will not really satisfy you. 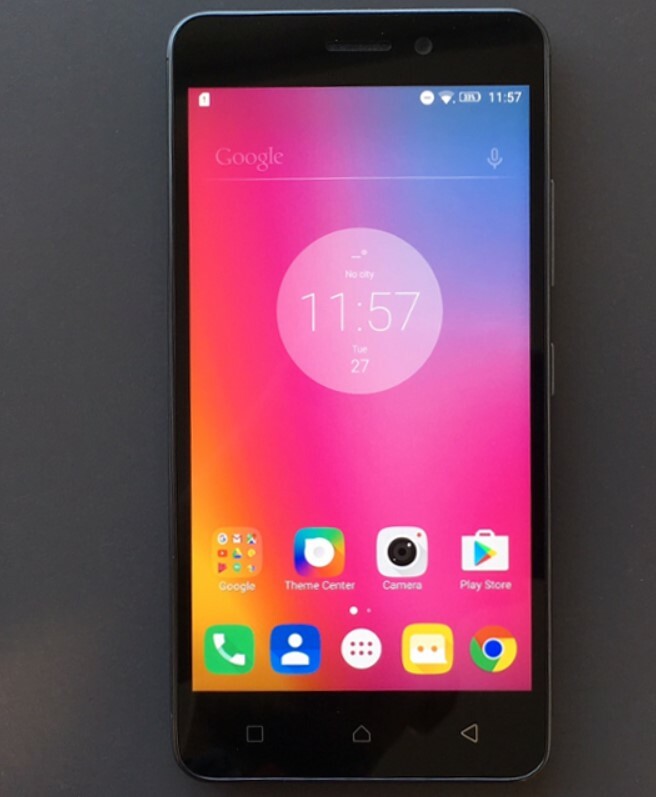 The phone is targeted towards the people who are looking for a budget smartphone. Just in case if you are looking for Xiaomi’s alternative then you can consider buying the Lenovo k6 Power. 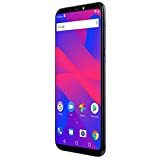 The smartphone is also a pretty good deal when it comes to getting a smartphone under 1000 bucks. Talking about the specifications of the smartphone, well the Lenovo K6 Power comes with 5 inches of display with a resolution of 1080 x 1920 pixels. Under the hood the Lenovo K6 Power sports a 1.4GHz octa-core Qualcomm Snapdragon 430 processor and comes with 3 GB of RAM and 32GB of internal storage. Talking about the camera specs, well the Lenovo K6 Power sports a 13MP primary camera on the rear panel and on the front panel there is an 8 megapixel front shooter for selfies. The camera also packs a battery of 4000 mAh which will offer you a great battery life. The smartphone holds a price tag of Rs.9999. So make sure you are checking this option out as well. Just in case if you are looking for a smartphone with an 18:09 aspect ratio then you can consider buying the Micromax Canvas Infinity. The device recently launched in the market and holds a price tag of Rs.9499. 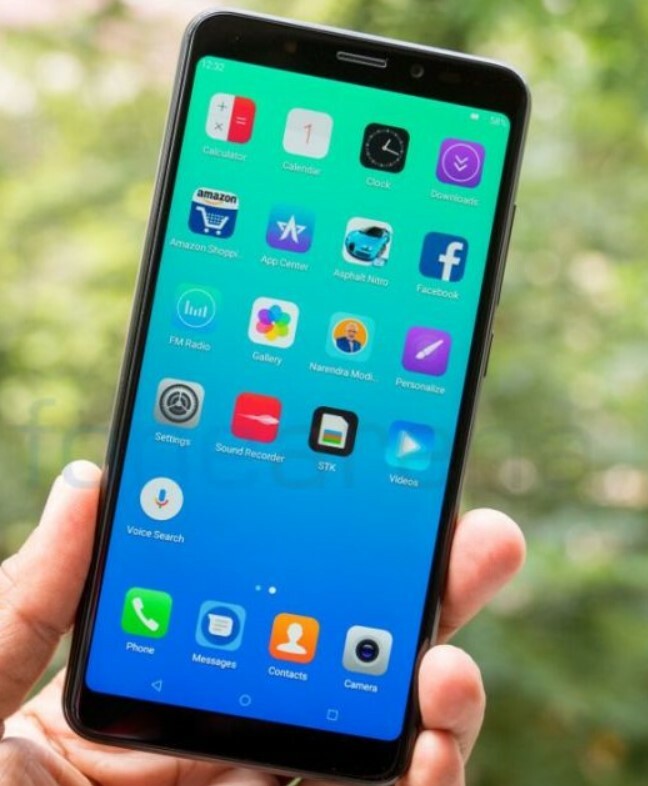 Talking about the smartphone specifications, the Micromax Canvas Infinity comes with a 5.7 inch HD IPS display with a resolution of 1440 x 720 pixels. Also, you are getting to see the 18:09 aspect ratio on the top. Under the hood, the smartphone has a 1.4GHz Qualcomm Snapdragon 425 quad-core processor. The smartphone also comes with 3GB of RAM and 32GB of internal storage. Along with the 18:09 aspect ratio you are also getting a finger print sensor at the back panel of the device. The smartphone is backed by a 2900 mah battery. Talking about the camera of the smartphone, you are getting a 13MP camera at the back panel. Also for selfies, you are getting a 16MP camera on the front panel. 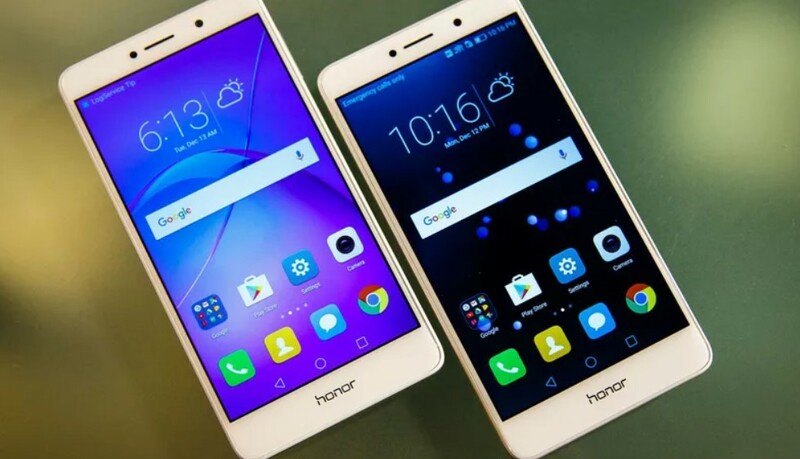 Up next we have handpicked the Honor 6X, the smartphone was launched this year. 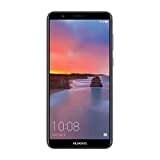 The phone was priced at Rs.11999 however while writing this article the smartphone is available on amazon India for Rs.9999. One of the main highlights of the smartphone is the Dual camera at the rear panel. The dual camera setup is equipped with a 12MP plus 2MP camera. On the front panel for selfies, there is an 8MP camera. Apart from the camera, the smartphone comes with a 5.5 inch display with a resolution of 1920 x 1080 pixels. Under the hood, the smartphone is powered by a 2.1GHz + 1.7GHz Kirin 655 octa core processor. Also, the smartphone comes with 3GB of RAM and 32GB of internal storage. You can also expand’s the memory up to 128GB via a micro SD card. Talking about the battery of the smartphone, the Honor 6X comes with a 3340 mah battery. However, the smartphone runs on Android EMUI4.1 v 6.0.1 Marshmallow operating system which is quite old. However, the company may have rolled out the Android Nougat update by now. So that would not be an issue. So just in case if you are looking for a smartphone with dual camera setup under 1000 then you should go with this. Just in case if you are looking for a smartphone then the InFocus Turbo 5 definitely a great option. As it comes with a battery of 5000 mAh. Also, the smartphone holds an affordable price tag which is Rs.6499. Talking about the specifications of the smartphone, the InFocus Turbo 5 comes with a 5.3 inch screen with a resolution of 1280 x 720 pixels. Under the hood, there is a 1.25 MediaTek MTK 6737 quad core processor along with the ARM9 GPU. Also, you are getting 2GB of RAM and 16GB of internal storage. The storage capacity is also expandable up to 32GB. Talking about the camera of the smartphone, the InFocus Turbo 5 comes with a 13MP camera at the rear panel. On the front panel for selfies, there is a 5MP camera. So that was all for the Top 10 smartphones under 10000 in India. 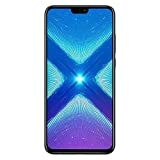 All these above mentioned smartphones are best in a specific way, like some smartphone has a great camera some smartphone offers great performance. Or some smartphones are overall good. Also, the smartphones belong to different price category. However, if you ask for our suggestion, we would like you to get the Xiaomi Redmi 5A device. Just in case if you are looking for a smartphone on a tight budget. Apart from the tight budget segment, The Honor 6X, Micromax Canvas Infinity and Xiaomi Redmi Note 4 seems a great option. So check them out and make a decision. Also if you have any questions you can comment below and we will surely help you out.